If you’ve been using an Android smartphone before buying an iPhone or iPad, you might be wondering if it’s possible to run those android applications and games on your Apple device. Well, the good news is that it’s very possible. I came across this when someone asked the question in a web forum. I followed it up and came across a group of developers that offered a solution. Apart from running Android apps on your iPhone and iPad, you can as well run .apk apps on other mobile operating systems like Meego OS (Nokia N9), Maemo OS (Nokia N900) and iPod touch. Myriad Alien Dalvik, developed by Myriad Group, enables Android applications to operate on non-Android devices,e.g mobile phones, pc and tablets allowing OEMs, operators and application stores to leverage the Android eco-system across a much wider range of devices. In other words, this wonderful application act as an emulator or runtime or you can call it a virtual machine that enables non-android devices to seamlessly run clean/unmodified android applications. 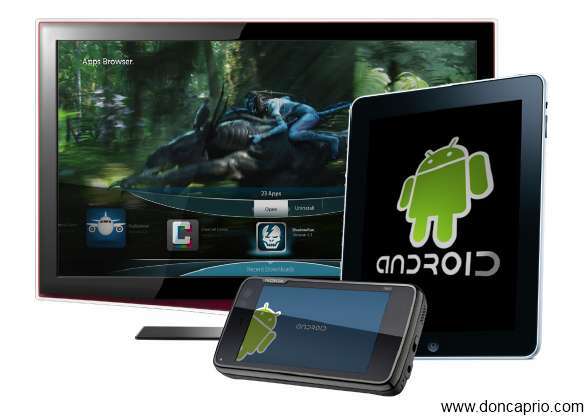 As seen on their product page, Alien Dalvik even allows you to run Android apps on TV. There’s no guide anywhere on the internet to download this and it’s solely available on the manufaturer’s website. You can visit the product guide page for further information. This is one of the useful and good post.I like your blog Instructions.This is one of the good post.